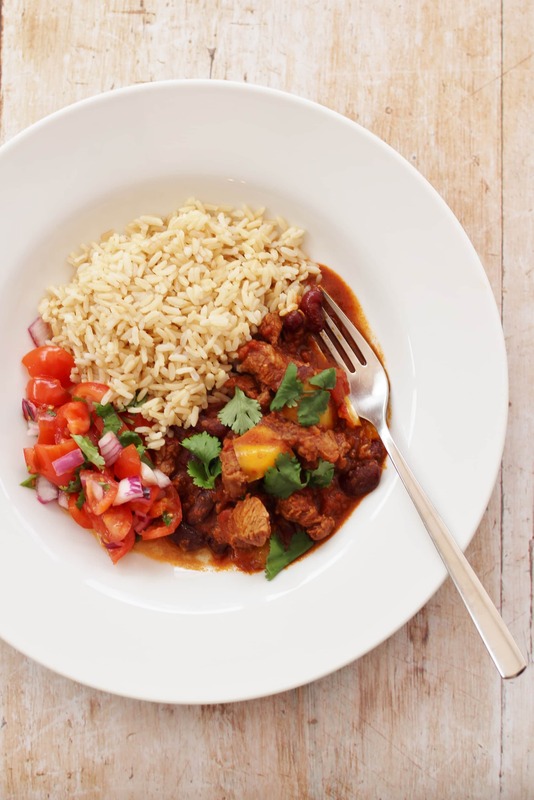 Inspired by a traditional Mexican mole, this Spicy Mexican Lamb Stew is full of warming spices and just a touch of cocoa. With less than 15 minutes prep time, this recipe is perfect for busy weeknights. I am currently working with the ‘LAMB. Tasty Easy Fun’ campaign, as one of their Lambassadors, helping share my love of lamb and showing how easy peasy lamb is to cook with. One of the things I love about lamb is how quickly you can make a delicious tasting stew, with that melt in the mouth texture. Whereas I find with beef you really need a good long, slow cook to achieve that soft texture, you can get that meltingly tender texture with lamb in much less time, making it a great weeknight choice. I have made several lamb stews and tagines on my blog, such as Lamb, Date and Butternut Squash Tagine and Lamb Stew with Spices, Butternut Squash and Chestnuts…but I got to wondering whether lamb would work well with Mexican flavours…after all, some of the key flavours in Mexican cooking, such as cumin, chilli and fresh coriander, are also flavours which work brilliantly with lamb. So I got to work in the kitchen developing this easy peasy take on a traditional Mexican mole stew – a Mexican mole would traditionally take hours, if not days to make – but this Spicy Mexican Lamb Stew uses a few of the key flavours, such as cumin, chilli and cocoa, to create a deliciously simple take on that traditional stew and in much less time! 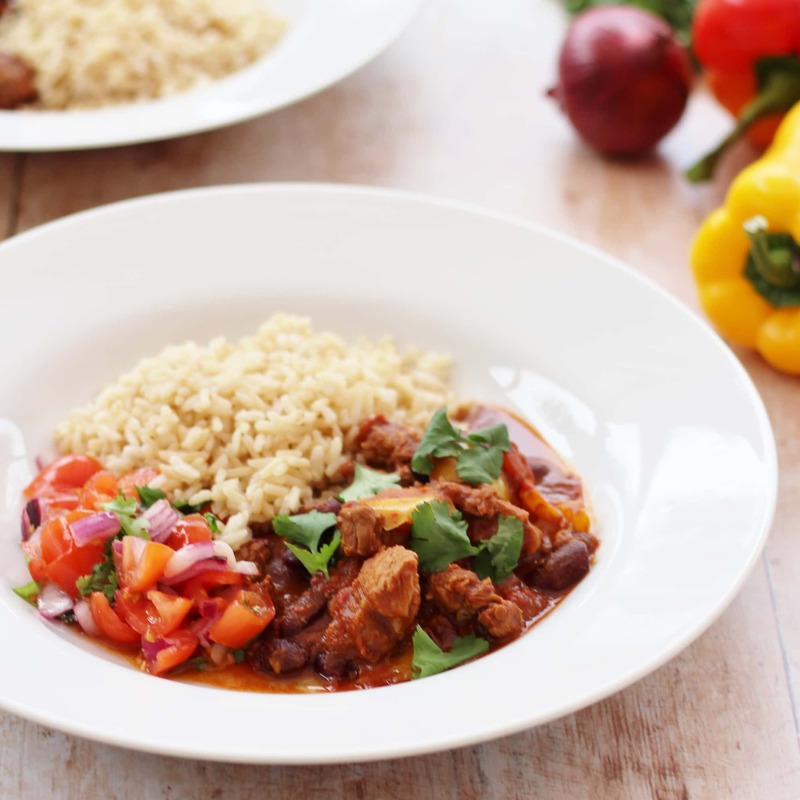 I chose to use diced lamb leg in this Spicy Mexican Lamb Stew for speed and convenience – buying diced lamb means one less job to do on a busy weeknight. 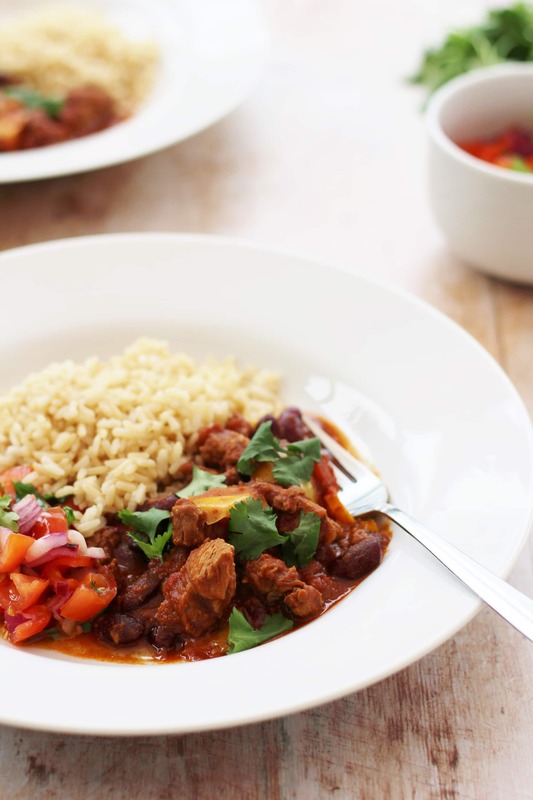 You could easily use lamb shoulder or neck in this stew too instead, if you prefer. 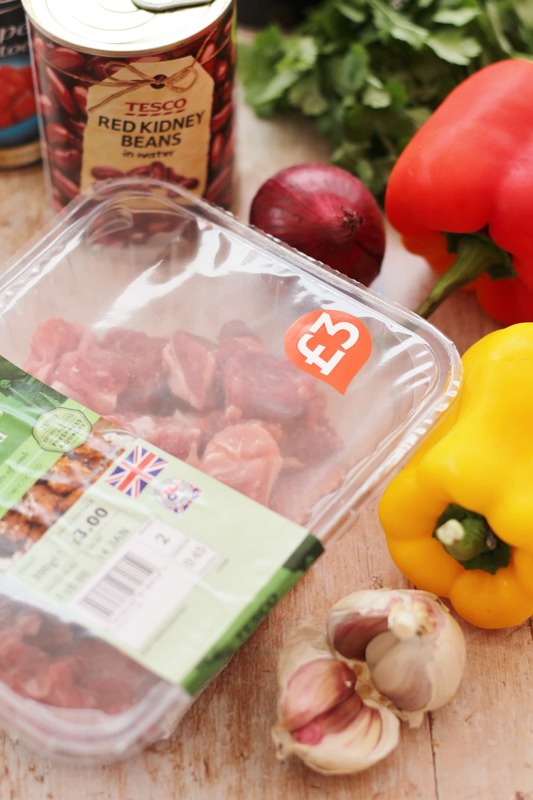 This recipe would also work brilliantly with leftover lamb from your Sunday roast, simply follow the recipe below, but only cook in the oven for a total of 30 minutes – meaning an even speedier weeknight supper! Drizzle about 2 tablespoons of olive oil into a large ovenproof saucepan or cast iron casserole dish. Add the onion and cook on a gentle heat, with the lid on, for about 3 minutes, until the onions are softened but not brown. Add the garlic, chilli, cumin, paprika and cocoa. Stir well and cook for 1 more minute with the lid off. Add a splash of water if it gets too dry. Bring the stew to the boil and then put the lid on and put in your preheated oven for 45 minutes. After 45 minutes add the beans and red/yellow pepper and continue cooking for another 45 minutes (1 hour 30 in total). 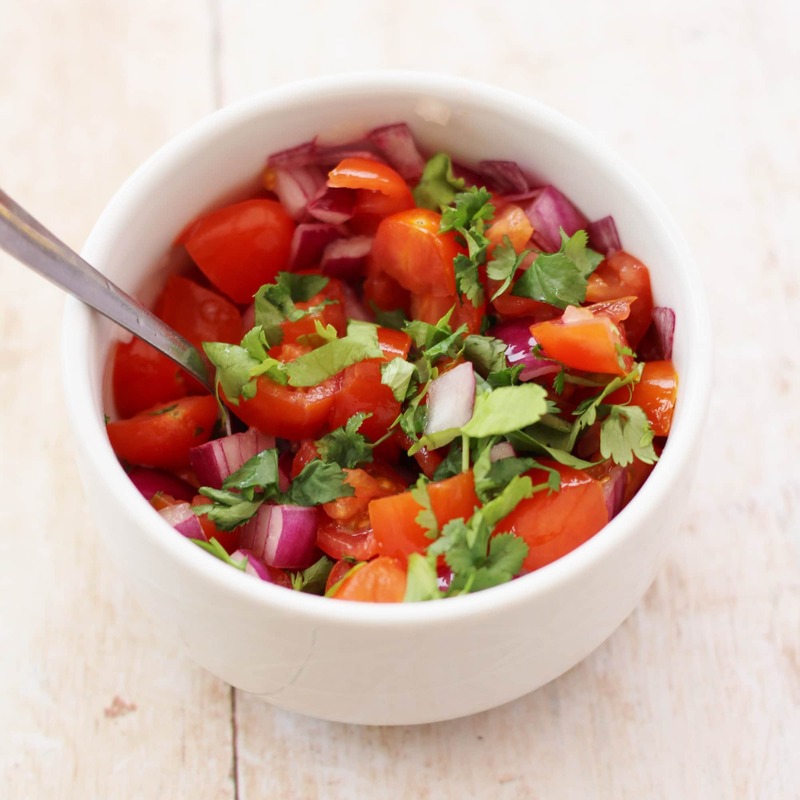 While the stew is in the oven, make your salsa by combining all the salsa ingredients in a small bowl and setting it aside to allow the flavours to develop. 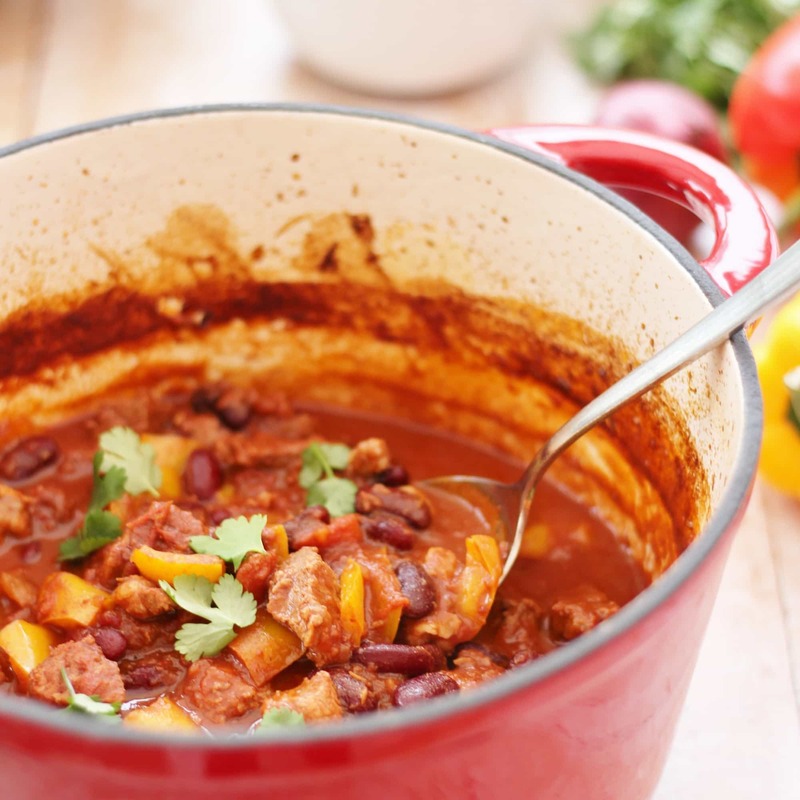 When the stew is ready, remove from the oven and stir through the chopped coriander and lime juice, if using. Serve with tortillas or rice and the salsa. 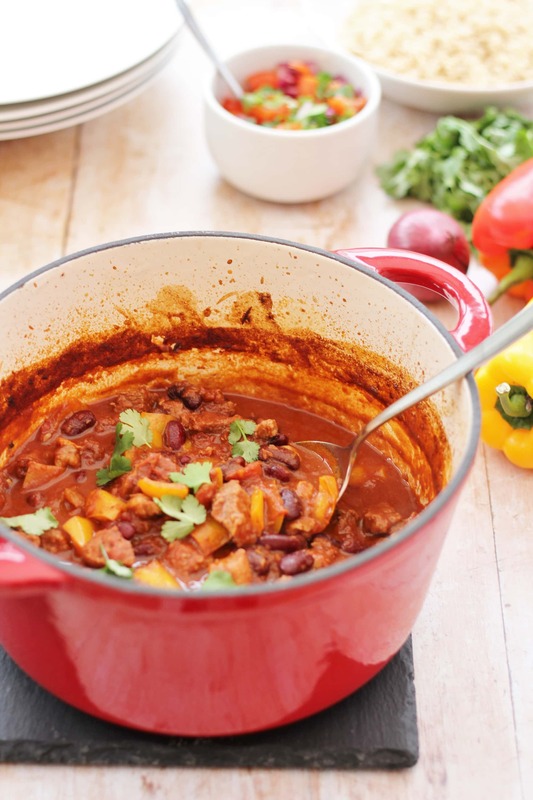 If you don’t own an ovenproof saucepan or cast iron casserole dish, simply cook the stew in a regular saucepan up until it has to go in the oven, then transfer the stew into a lidded casserole dish before placing in the oven. Add on an extra 5 minutes cooking time to allow for the fact that the casserole dish will need extra time to heat up. It certainly is the weather for stew. I dont often us lamb in them but when I do they usually turn out good. This recipe sounds really tasty. I have a funny story about cocoa powder. Many years ago my parents owned a cafe, which they took over from a previous owner. There was a large tin of bisto on the shelf and although he made gravy from scratch he would add just a little for extra flavour. He was renown for his great gravy – turns out that tin of bisto actually contained cocoa powder. I’m pretty sure I mentioned it before: I’m not a fan of lamb (at all!) but I can see this dish working beautifully as a sausage stew too! Yummy, makes me hungry! Thanks for joining in with #FreeFromFridays.